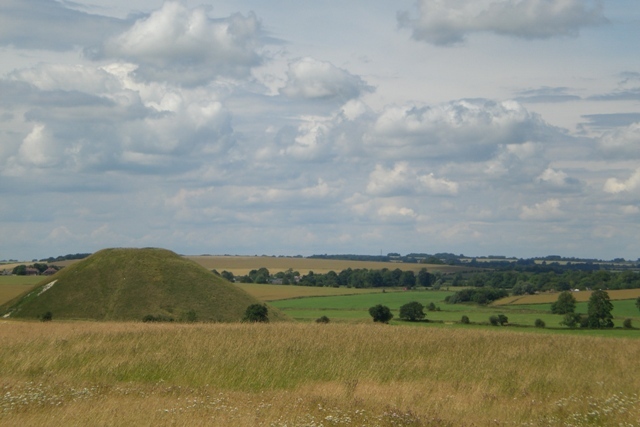 Nearby we ran across the famous and enigmatic Silbury Hall. 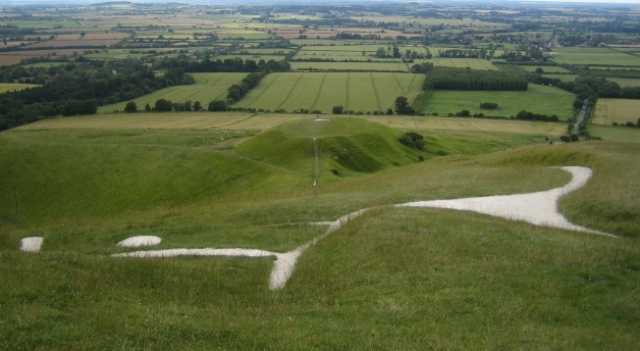 On our way to Uffington we caught site of this hillside chalk drawing. We weren’t sure what it was at the time. 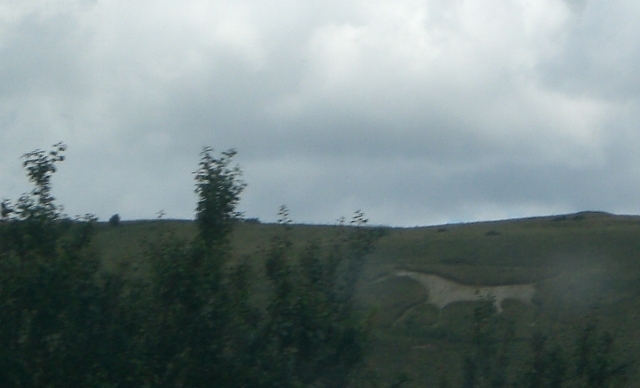 I think it is the Alton Barnes White Horse. 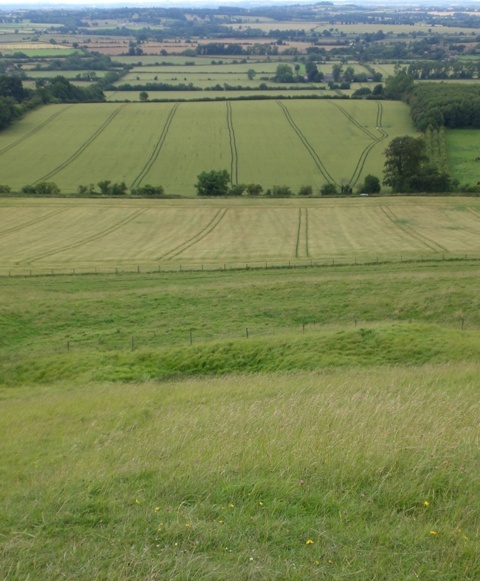 Finally we arrived in Uffington where we enjoyed what may be our last afternoon picnic (sigh wistfully). First we climbed up to see the Uffington White Horse, which is”the oldest chalk-cut hill figure in Britain, and may be more than 3,000 years old.” We couldn’t figure out any place on the nearby landscape from which it could be viewed in its entirety in correct horse orientation and so concluded it must have been made for aliens. 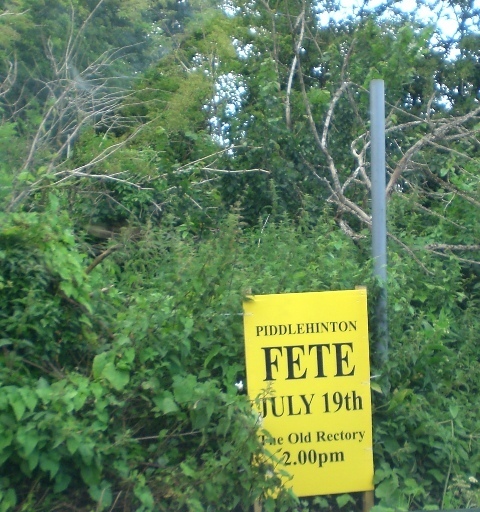 The hill in the background is Dragon Hill. It is where St. George killed the mythical dragon. Nothing will grow where the dragon fell. 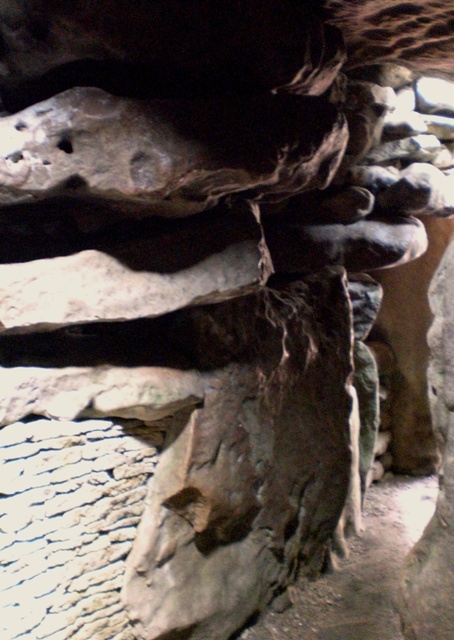 See the dragon? 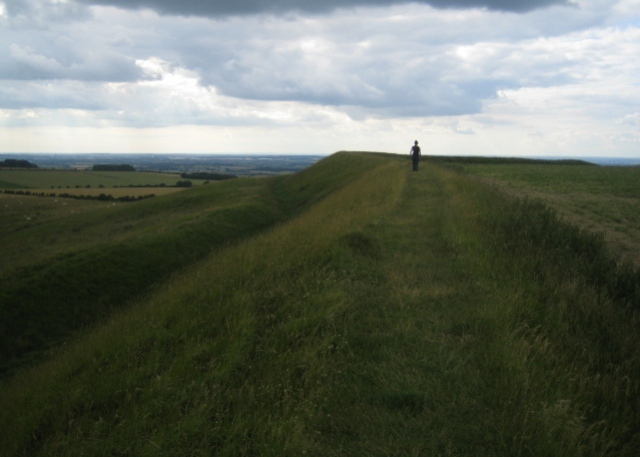 We climbed up, up, up to the top of Uffington “Castle” which is an Iron Age hill fort. We walked the perimeter of the fort. I enjoyed the perfect patchwork view. 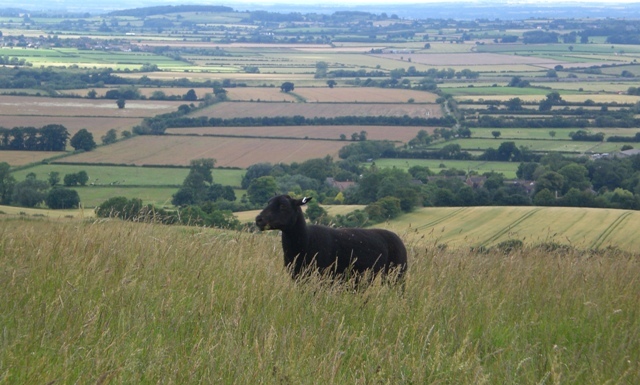 Our lovely last day out ended with a happy surprise – finally, a black sheep! Entry filed under: Travel, Uncategorized. 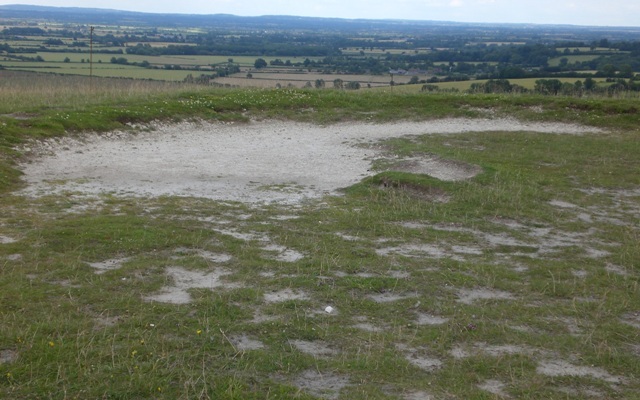 Tags: barrows, chalk hill drawings, Dragon Hill, Piddlehinton, Silbury Hill, Uffington, West Kennet Long Barrow.